French girls know good skincare. So it's not all that surprising really that the number one makeup remover used backstage at pretty much every fashion show we've ever been to, was founded in France. What is surprising, however, is that the skincare staple loved by the likes of Gwyneth Paltrow, Lara Stone, Margot Robbie, Olivia Palermo, Rosie Huntington-Whiteley and Victoria Beckham is a drugstore beauty buy—available from just £6. Years ago, the majority of skincare solutions recommended by dermatologists were cleansing milks. These cleansing milks often needed to be followed up with a toner to reset the skin's pH and remove any excess cleansing milk that could cause breakouts and congestion on the skin, but toner often led to skin irritation. This led Laboratoire Bioderma's research to develop a new micellar technology. In 1995, the brand launched Sensibio H2O, the first cleansing and makeup removing water guaranteeing gentle, non-rinse cleansing for sensitive skin. Sensibio H2O was rapidly accepted and prescribed by dermatologists. Plus, thanks to its tough makeup removing skills without irritating the skin, it is a favourite amongst professional makeup artists. Why Is Sensibio H2O Still Popular Today? The cult cleansing water may have been formulated over 20 years ago, but its popularity only continues. Whilst it was formulated specifically for sensitive skin types in mind, Sensibio H2O manages to remove 99% of makeup, 98% of pollution particles and 78% of heavy metals—without stripping the skin. Last year alone, over 300,000 bottles of Sensibio H2O were sold in the UK, with makeup artists, beauty editors and celebrities swearing by the formula. I use Sensibio H2O to remove any makeup, dirt and grime before going in with a secondary deep cleanser like Dr Dennis Gross Alpha Beta Pore Perfecting Cleansing Gel (£46) that I'll wash off with water. The smaller sized bottle is great for travelling and leaves your skin feeling fresh and clean with just one quick swipe. Sure, there are now many great micellar waters on the market, but nothing beats the OG. Since its launch, the cult cleansing water now comes in various incarnations depending on your skin's needs. 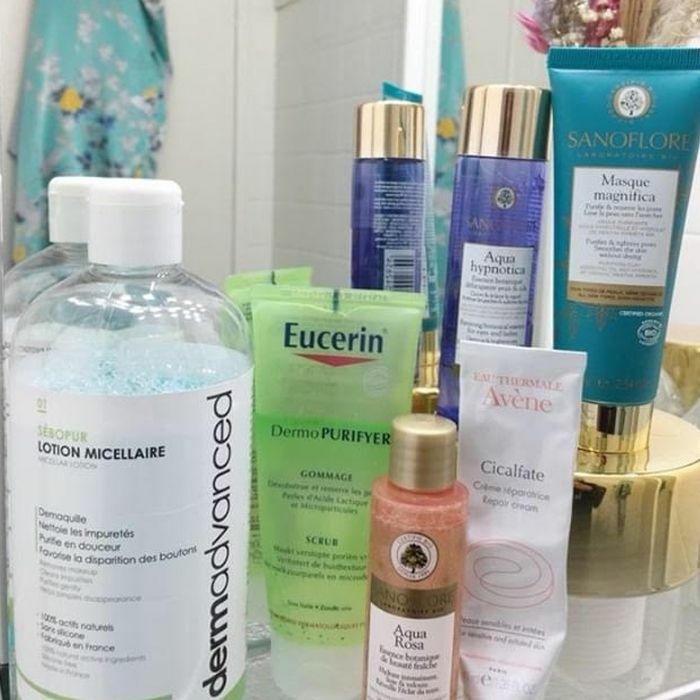 Keep scrolling to shop them all along with some other great French pharmacy makeup removers. Dehydrated or sensitive skin types will love this moisturising version of the cult makeup remover. It uses a patented Aquagenium complex to help improve your skin's ability to keep hydration locked in over time. A luxurious honey and sunflower–infused makeup remover that leaves skin feeling soft and nourished. Formulated with oily-combination skin types in mind, this micellar water contains Fluidactiv to stabilise sebum production and purify the skin. A refreshing, soothing option for skin that is prone to sensitivity and irritation. This gel feels wonderfully cooling on the skin and does a great job at reducing redness. The same cult classic formula in a smaller, travel-sized bottle for extra cute points. This micellar water is another makeup artist must-have that is often spotted backstage at fashion week to cleanse models' skin. Next up, I tested Amazon's beauty best sellers—this is what I thought.